Try to ask people what they’re looking for and most of the time you get to hear answer like finding and looking for happiness. I guess in our world, happiness is so hard to find and that is why everyone is so obsessed with it. But what is happiness really that many of us try to find it in relationship, experiences, or approval and admiration? Why do we always seek for it? Did you know that there are some people who are genuinely happy? Why can’t we be like them? I’ve always viewed happiness differently because I’ve been exposed to people who are happy with simple things. They are those who do not seek for happiness but are genuinely happy most of their lives. I’m glad that at a young age I’ve met several of them. But you know what is amazing; they made me realize that happiness is a contagious thing and you can spread it to all, that even for just a moment you can feel happiness and the memory of it will linger for time. 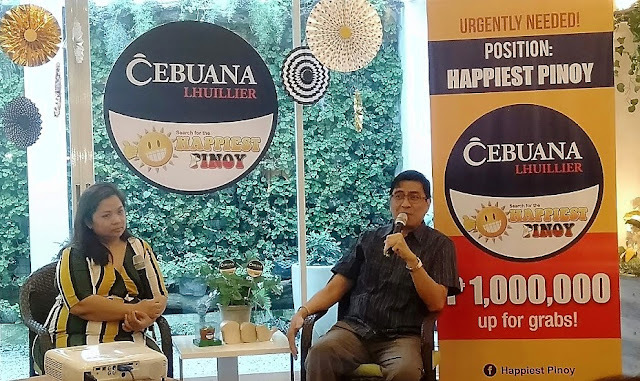 Last March 20, 2019, Cebuana Lhuillier invited us to celebrate the International day of Happiness and update us on their worthy advocacy and campaign on the Cebuana Lhuillier Search for the Happiest Pinoy. We spent the whole afternoon with people who proved to us that happiness is contagious. 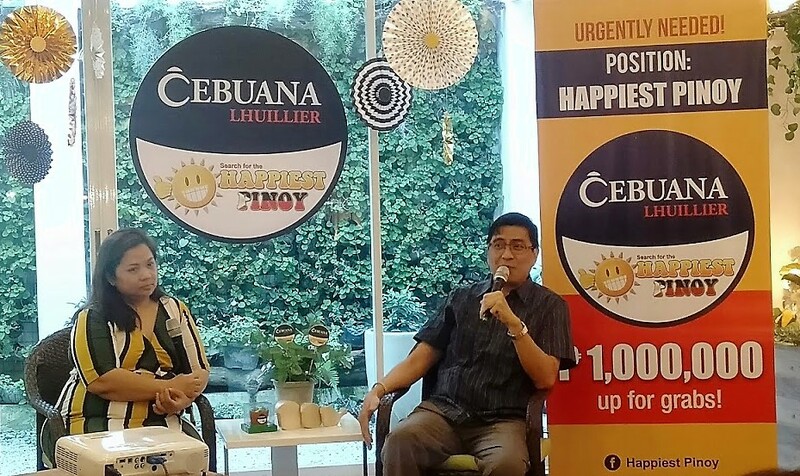 We were introduced to the first ever winner of the Search for the Happiest Pinoy Mr. Winston Maxino. Listening to his talk, I realized why Cebuana chose him as one. A corporate executive, he told us that he is not a healthy person as he is suffering from ankylosing spondylitis, a rare disease that involves the spine. He also has osteoporosis, asthma and uveitis. In fact before he came to the event, he told us that it took him hours to be prepared and be present in the occasion. For me that took a lot of courage and I was in awe. You know, one of the hardest things in this world is to remain happy and positive if you’re sick and you’re feeling all the pain in your body. Yet he was able to share happy things with us his positive attitude and prove that happiness is a very contagious thing. The next part of the program is a very interesting one. I’ve heard of Laughter Yoga but this will be the first time that I will be doing it. 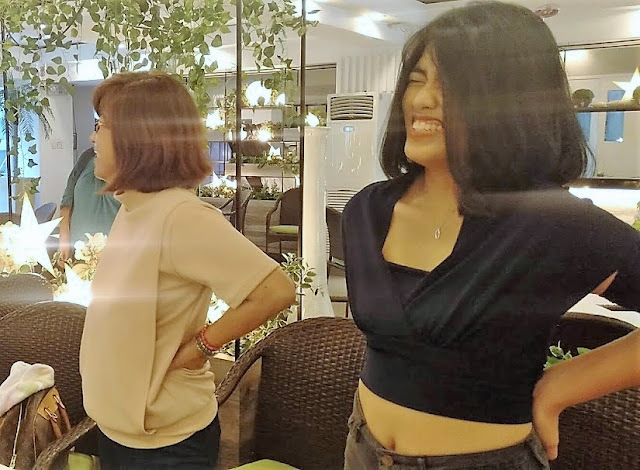 With Pinoy Laughter Yogini Paolo Martin Trinidad, we had so much fun doing the yoga, engaging in various laughter exercises. Even if you don’t want to laugh, it will be very hard not to really. I wish every establishment will practice this before starting their day and for sure, work will be a rave. The afternoon we spent is indeed a fun one. It only goes on to show that if there is one happy person around, happiness can be spread because happiness is a contagious thing. 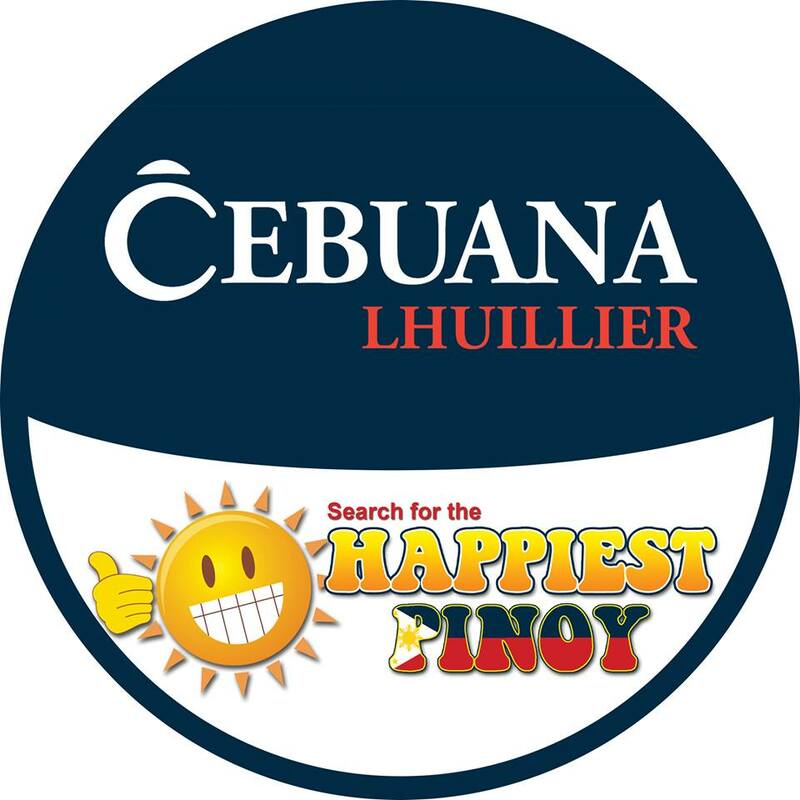 This may be the vision why for ten years now Cebuana continues its Cebuana Lhuillier Search for the Happiest Pinoy.  It has been one of their most popular campaigns and for this year’s competition did you know that they have received close to 800,000 applications from various localities nationwide? It is by far it’s biggest in the Search’s ten-year history. 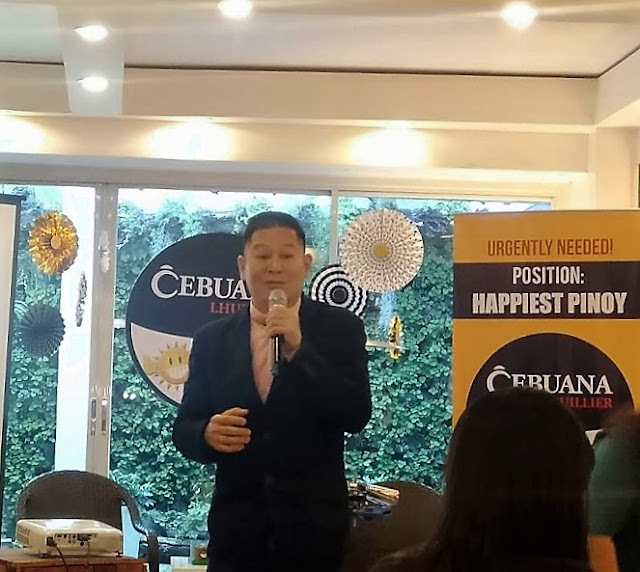 The latest development in this campaign is that they are now down to 20 finalists and it’s very exciting to know that one of them will take home P1 million in cash prizes.